Courtesy of Keller Williams Realty, Cynthia Allen. 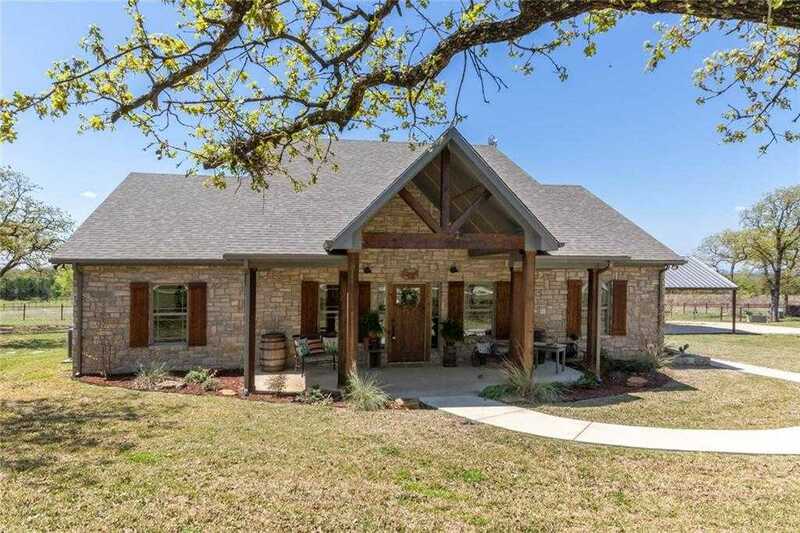 Immaculate Rock Home on 4 Acres – It’s a Mini-Ranch in a Secluded Subdivision. No HOA’s. Beautiful Established Trees surround this Property. Features: 3 Bedroom, 2 Bathroom, Open Concept, Spacious Living Area with 10 Ft Ceilings, Wood Beams and Rustic Finishes. Wood Burning Stove, Island Kitchen with Breakfast Bar, Large Eat In Area, Granite, Farm Sink, Large Master Bath Suite, Large Utility Room with Storage, Oversize Covered Porch and Patio, Extra Concrete Walkways, Pipe Top Fencing-Cross Fenced, Sectioned Horse Area, Large Dog Run, 30X30 Workshop with Electric with Lean for Extra Covered Parking. 2 Car Carport on Slab. Many Extra Finishing Touches! Home has Spray Foam Insulation – 75 Gallon Water Heater. Please, send me more information on this property: MLS# 14056331 – $324,900 – 157 Oak Ridge Loop, Whitney, TX 76692. I would like to schedule a private showing for this property: MLS# 14056331 – $324,900 – 157 Oak Ridge Loop, Whitney, TX 76692.